Every so often you come across a home interior that just has a certain “wow” factor. This is one of those homes. 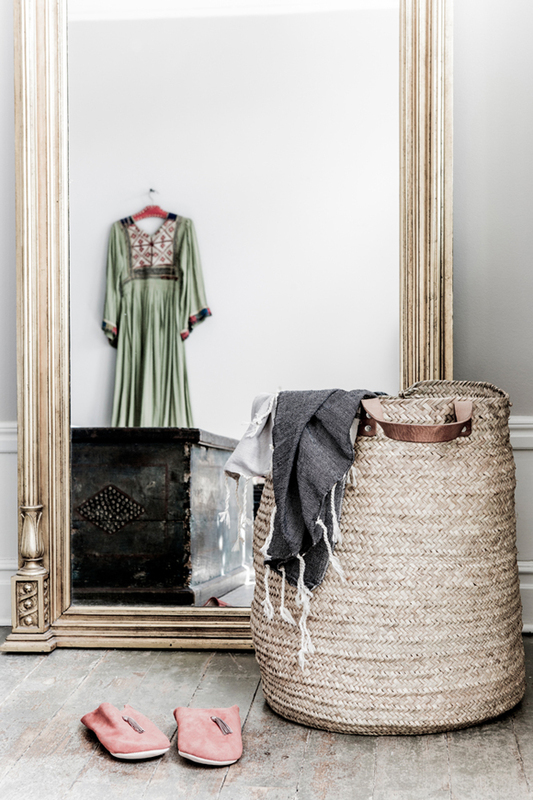 It is a bohemian style home with great looking pieces everywhere. Each time you look at an area, you see something you didn’t see before, it just keeps on giving. Let’s start with the living area, it offers a functional purpose, which in this case is definitely comfort! But it also has a great relaxed, stylish feel to it. 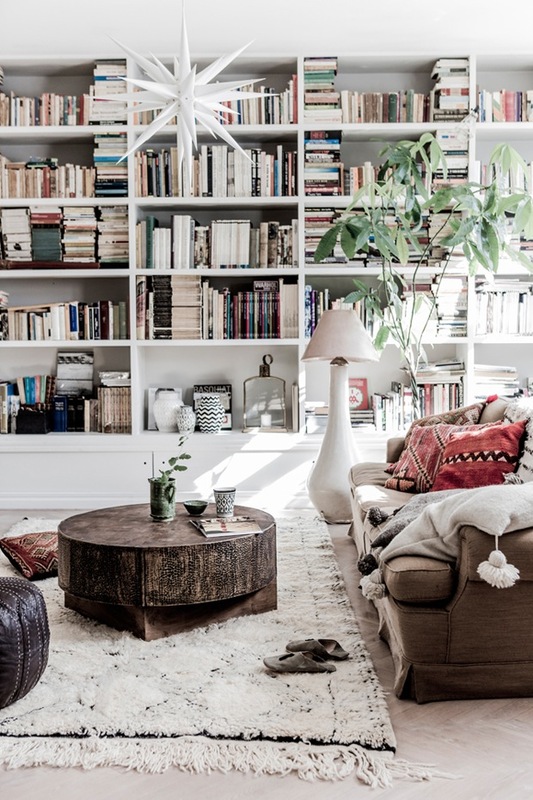 With the ample shelf space for books, you can just cozy up on the sofa for the evening and let the world pass you by. You’ll also notice here, the great use of plants to bring in some extra color. This is a theme throughout the house as we go. 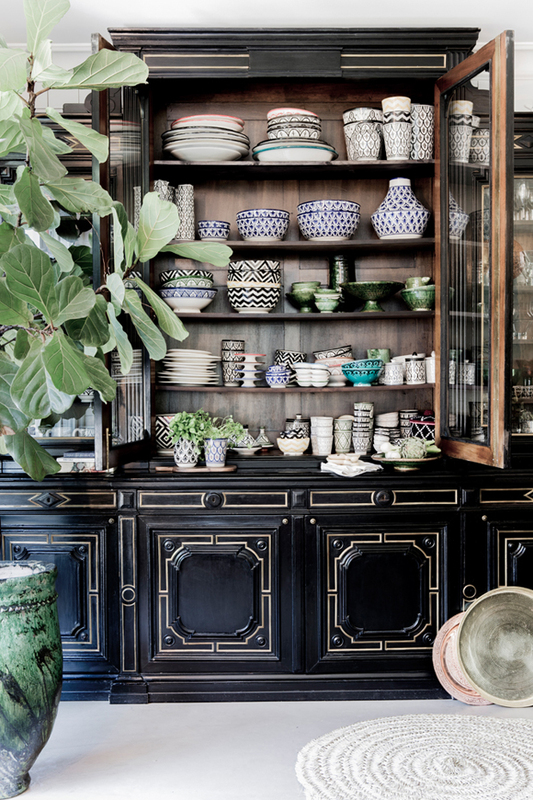 One of the main features of the dining area is the stunning black coated cabinet with gold trim, it really works perfectly. 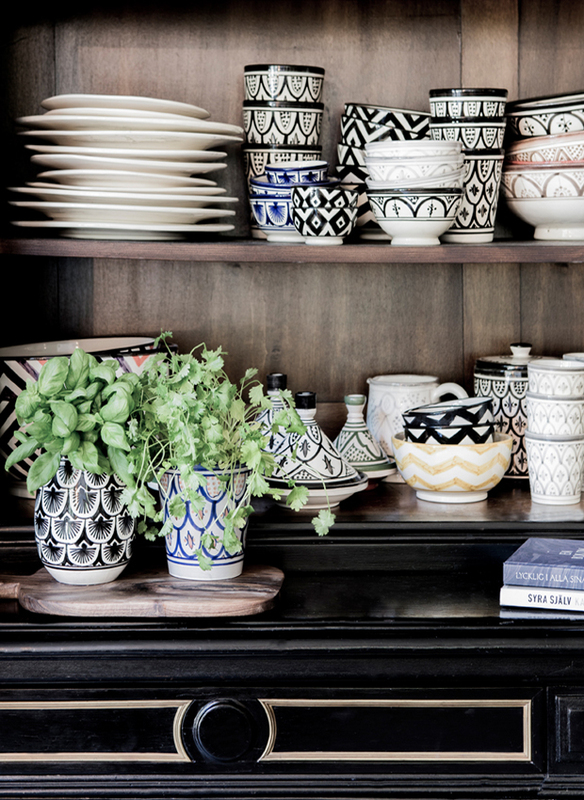 Being used to display a collection of crockery and other pieces from collections around the world, it’s a great talking point for any get-together! 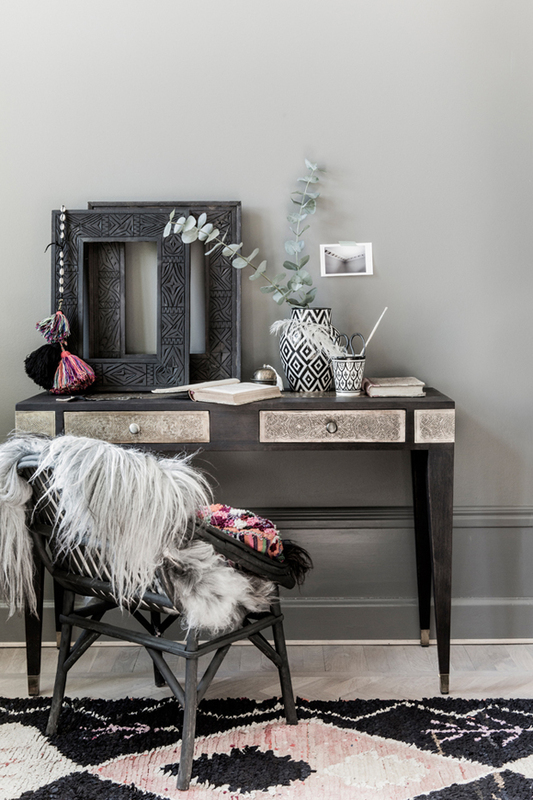 There is a dedicated office space/desk, which does not veer off the bohemian style one bit! With a chic looking desk and chair, it’s a great place to do some creative writing or keeping your brain engaged for some studying. Looking at the bedroom, we’re betting you won’t of seen something like this before. 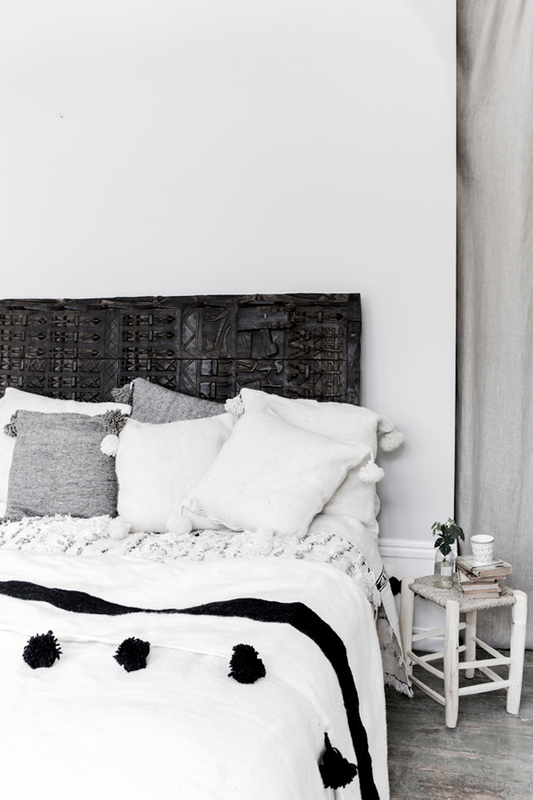 The headboard is a beautiful wooden carved African piece. A complete one-off that you can be sure no one else has. 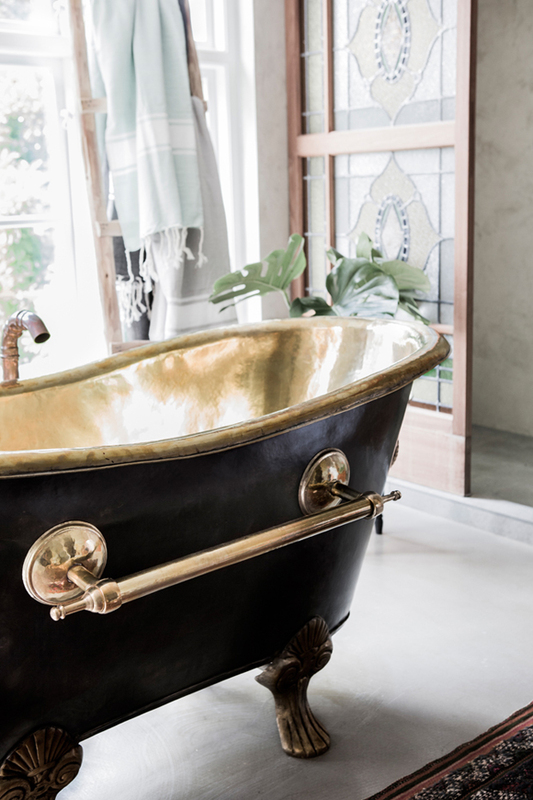 In the bathroom is a fantastic looking free-standing bathtub with a golden colored lined interior. It’s a great place to relax, with ample sized windows to allow tons of natural light soak in. You can really relax in here and it’s also worth mentioning again the natural feel due to the plant life that has been incorporated throughout the home. Let us know what you think in the comments below. 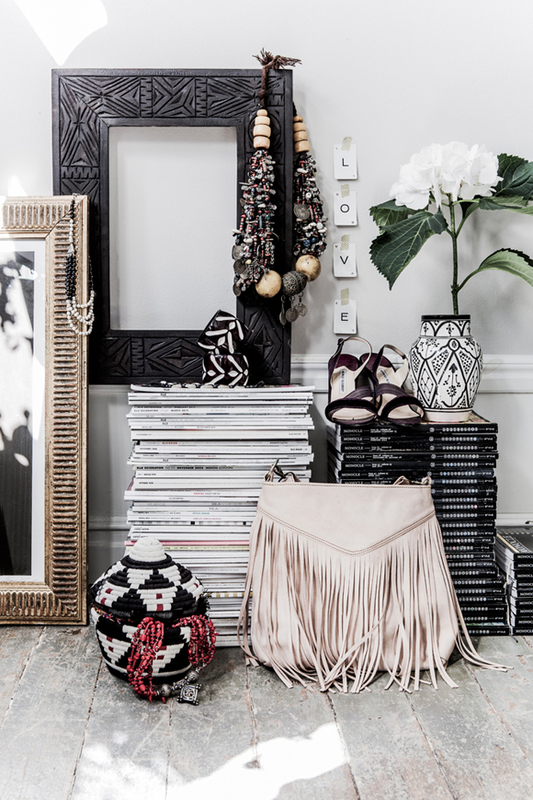 What do you think of the Bohemian style in general?